Nearly 7,000 children and young adults now have type 2 diabetes in England and Wales, according to an analysis published today. The number represents thousands of young people receiving care in GP practices and is ten times the 715 patients recorded as receiving care in specialist paediatric units, according to Diabetes UK. Although it is the first time the number has been estimated in this way, experts warned it reflected the increase in obesity rates among children. About a third of children are overweight or obese by the time they leave primary school. 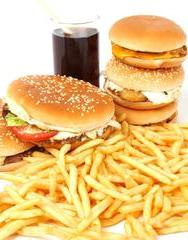 The charity called on the government to step up measures promised in its childhood obesity plan, such as new restrictions on junk food advertising to children. It also called for improvements in care services. In total there were 6,836 people under the age of 25 with type 2 diabetes by March 2017, the charity says. Royal College of Paediatrics and Child Health president Professor Russell Viner said: “When the RCPCH’s paediatric diabetes audit launched in the summer, we were concerned then that the numbers of children we were seeing with type 2 diabetes was an underestimate. This latest analysis, which takes primary care contacts into consideration, shows these concerns were justified and emphasises the need to act. * A radical programme to tackle severe obesity, involving total diet replacement, has proved to be successful, researchers at Glasgow University report today. During the Counterweight-Plus programme, patients live on a low energy formula diet for up to 12 weeks. There is then a programme of food reintroduction. The research is published in the Journal of Human Nutrition and found that after 12 months patients lost on average 14.2kg. More than 200 patients took part. Researcher Professor Mike Lean said: “The importance of this paper is that it is not ivory-tower research, but describing the results achieved by the real people who real doctors are trying to help with obesity and its complications.